This effortless feta spread is an accidental recipe. It is so dead simple that it is not even a recipe. The only reason I am posting it here is because it is utterly divine and delicious and so I feel compelled to share! I wanted to make a spread to go with some crusty bread rolls. The challenge I had set myself was to make it using whatever I could lay my hands on in the kitchen, strictly no buying of new ingredients. 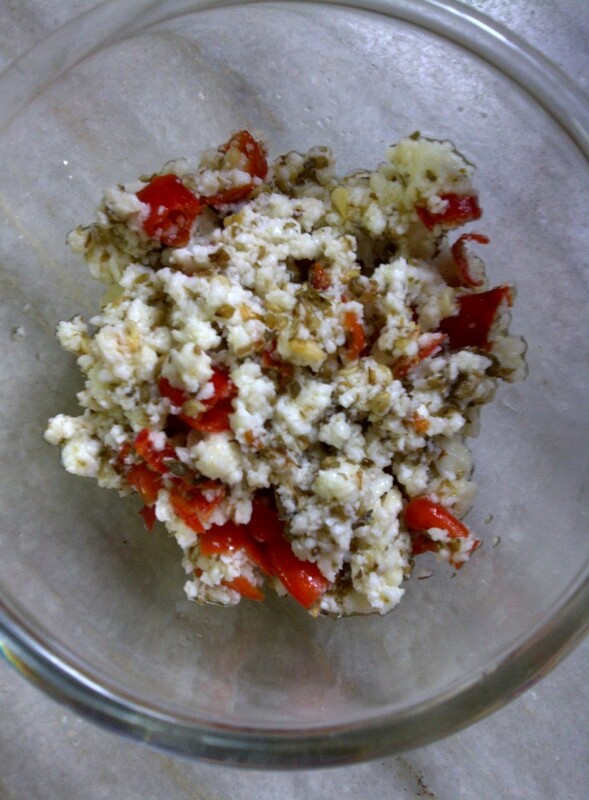 If you can’t get hold of feta cheese, you can make this using fresh paneer. I wouldn’t recommend the ready block of paneer off supermarket shelf which has no taste or character. Also, you can use this as a template and build on it with some capers, minced garlic, chopped sun-dried tomatoes and/or char-grilled peppers (in which case you will have to adjust the quantity of cheese you use). Delicious with any kind of crusty bread. If you are using fresh oregano, wash and dry it. Wash, wipe and slice the chilli. Enjoy immediately or chill for a couple of hours before having. Feta is naturally salty so this spread doesn’t need any additional salt. But if you are making this with paneer, add salt according to taste. Following on from my previous happy experience with hand mashed hummus, I decided to make another variation using the same gadget free method. In this totally experimental recipe, I have combined sprouted chickpeas with some smoked aubergine. Addition of some toasted seeds and walnuts takes this one to another level. Like my previous hummus recipes this, too, is simple. The only time consuming aspect is the soaking-and-sprouting-the-chickpea stage. Chickpeas can take anything from 48 hours upwards to sprout. If you want to try this recipe but don’t have the patience to go through the sprouting process, you can make it with regular boiled chickpeas. Soak the chickpea for 5 to 6 hours and then drain and leave for sprouting. This process can take anything from 2 to 3 days. If you don’t intend to sprout, simply soak the chickpeas for 5 to 6 hours. When you are ready to prepare the hummus, boil the soaked or sprouted chickpeas along with one cup of water and a pinch of salt till meltingly soft. Drain and set aside to cool, reserving the liquor. Mash the hummus either with your hand or the back of a spoon or a potato masher. Best to do this while the chickpeas are still a bit warm, don’t wait for them to get completely cold. Wash the aubergine and rub a bit of oil all over it. Grill the aubergine till soft. Alternatively, you can put the aubergine directly on gas flame for char-grilled version. Once the aubergine has cooled down, peel and mash or coarsely chop it. Toast the seeds and walnut till they turn a couple of shades darker. Set aside to cool. Once cool, break down the walnut into pieces with your hands or a knife. Peel and grate the garlic. Peel and finely slice the chilli. In a large bowl, add the mashed hummus, chopped aubergine, grated garlic, sliced chilli, smoked paprika, 1 tablespoon olive oil, tahini, juice of lime or lemon and salt to taste. Mix well. If you feel that the mixture is too stiff, gradually add some of the cooking liquor till you get the consistency desired. Next, add the toasted seeds and walnut pieces and again mix everything thoroughly. Transfer to a serving bowl or a shallow dish, cover and refrigerate for a couple of hours. Bring the hummus down to room temperature and drizzle the remaining olive oil and sprinkle some smoked paprika before serving. Garlic is a matter of personal preference. I like garlicky hummus so used 2 heads. Use one head or a few cloves if you are not a big garlic fan. 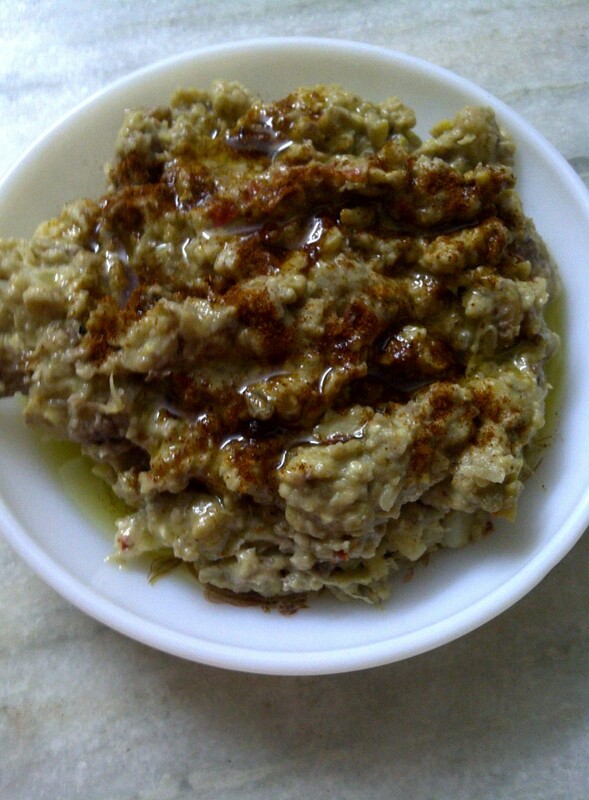 If you can’t get hold of tahini, here’s my recipe for homemade version. This is such a delightful and fun recipe, I am surprised that I didn’t discover it sooner. It is getting very hot where I am so I prefer simple, light dinners. For instance, some hummus and crackers (with some red wine, of course!) and I am done. For this recipe to work, the chickpeas have to be meltingly soft. In other words, while this way of preparing hummus is quick and easy, I think it will only work if you soak and boil the chickpeas. Canned chickpeas tend to be a bit firmer so I don’t think they will be malleable enough to be hand mashed. I could be wrong and if you have made hand mashed hummus using canned chickpeas please do share your experience in the comments section below. I have read some food bloggers discuss the merits of peeling chickpeas when making hummus. Personally, the skin doesn’t bother me so I didn’t peel them. Also, I feel that if you remove the skin, you are losing some valuable nutrition along the way. But if you prefer, feel free to remove the skin. If the chickpeas are cooked till very soft, the skin will come off easily. You can enjoy this with some pita bread or crackers or on toast or with crudités. Will stay good in the refrigerator for 4 to 5 days. Soak the chickpeas for 4 to 8 hours. Boil them in plenty of salted water. You can also boil them in a pressure cooker if you like, five pressures on high and you are done. The end result should be wax-like soft chickpeas. Drain the chickpeas reserving about 1 cup of the cooking liquor. Juice the lime or lemon. Once the chickpeas are cool enough to handle, mash them with your hand OR the back of a large spoon OR potato masher. Throw in the grated garlic, juice of lime or lemon, olive oil, tahini and a bit of salt to taste (not much since the chickpeas have been boiled in salted water). Add about 1/4 cup of the cooking liquor. Mix well and check for consistency. Add some more cooking liquor if needed. Transfer to a serving bowl, sprinkle some paprika if you like and chill for a couple of hours before serving or you can even enjoy it while it is still a bit warm. The other day, I needed a last minute favour from one of our neighbours and she very kindly came to my rescue. 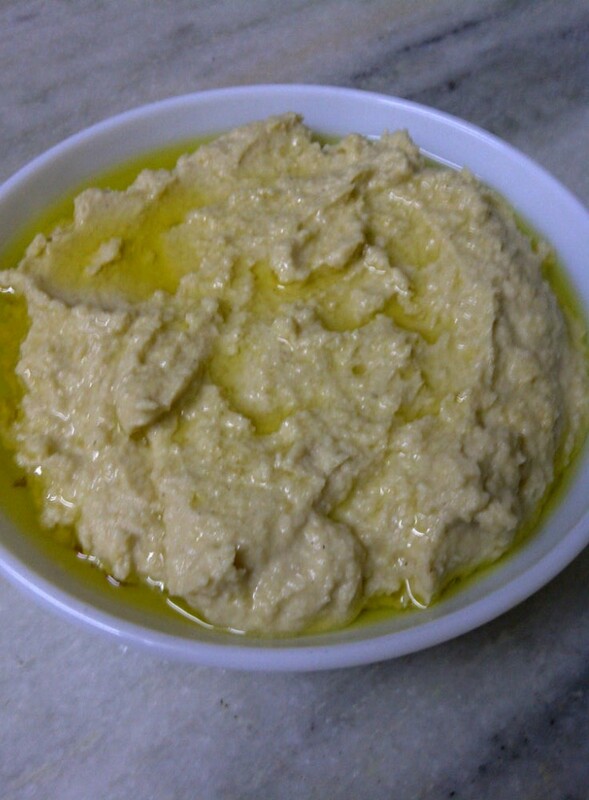 In return, I made this hummus by way of thank you. Her verdict? “Par excellence” (her words, not mine!). This is a super easy, super yummy hummus which can be made in under 15 minutes if you plan to use canned chickpeas (although I went down the soaking-some-dried-chickpeas-for-8-hours-before-boiling-them route). It is another one of my made-up recipe with what I had in my kitchen. The reason I describe this as low fat is because there is no olive oil in the hummus itself, only some drizzled on top. I think creamy tahini provides the necessary fat content the dish requires. 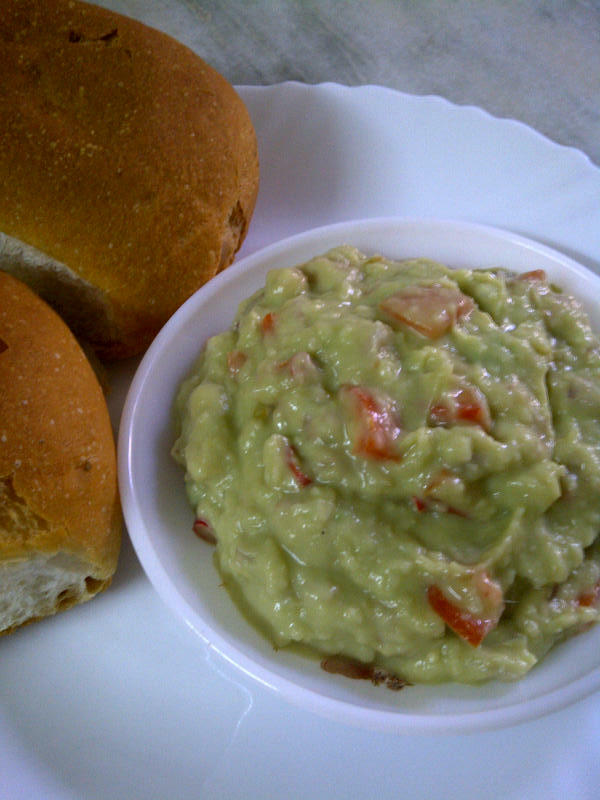 Enjoy with some bread sticks or crudités, spread on toast, use as a sandwich filler or in a wrap. 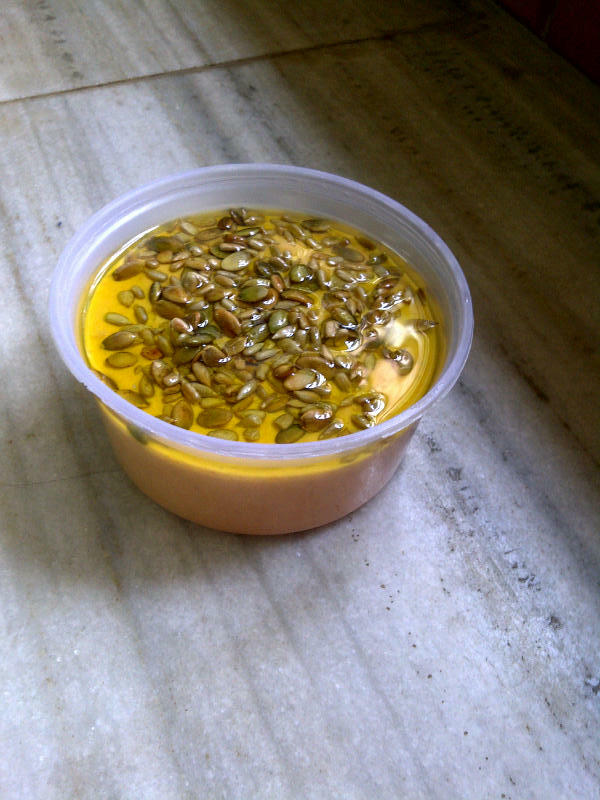 Dry roast the pumpkin/sunflower or whichever seeds you are using till they are a couple of shades darker. Set aside to cool. Remove seeds and core from the capsicum. Wash, coarsely chop and set aside. In a blender or a food processor, add the boiled chickpeas, 1/4 cup of water, tahini, red pepper, chilli, grated garlic, lemon juice and salt to taste. Check for taste. Add more salt or lemon juice if you feel the need. Transfer to a serving bowl or dish. Scatter the toasted seeds on top. You can add garlic cloves instead of grated garlic. Personally, I prefer adding grated garlic because I find that this lends a more garlicky taste. Don’t go overboard with the chilli. You just want a hint of spiciness. The genesis of today’s recipe: the heat is on; I favour one-pot meals; I am trying to incorporate more beans and legumes into my diet. The result: a creamy, good-for-you, cooling, versatile spread. Also known as lima beans, butter beans are packed with the goodness of dietary fiber, molybdenum, copper, manganese and folate. They are also high in vitamins B1, B6 and iron. You can enjoy this with some crusty rolls, use as a sandwich filler, spread on a tortilla, mix with some warm pasta or serve with crudités. I used dried butter beans which were soaked for 8 hours and boiled in a pressure cooker. You can use canned beans if you prefer, they are just as good. If you are using chilli, wash and finely slice it. 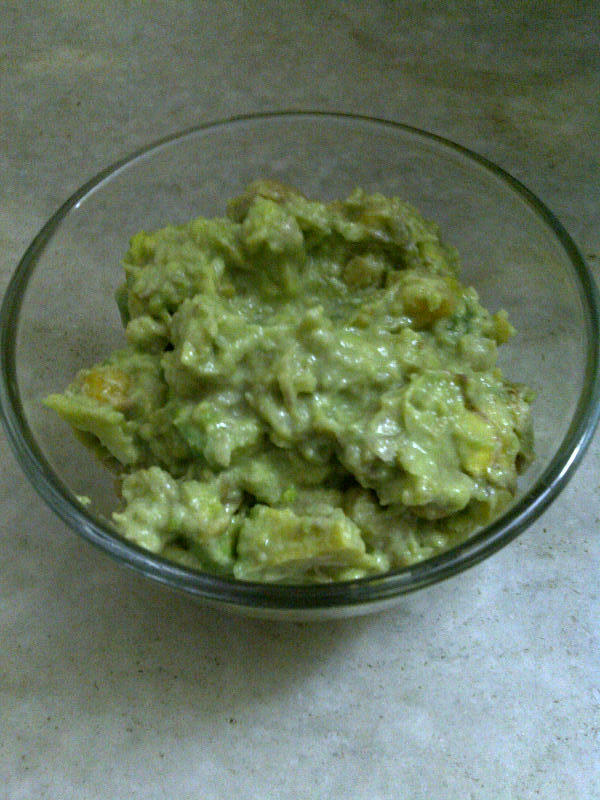 In a food processor, blend the butter bean and avocado till you get a paste (a bit lumpy is also fine). Combine the chilli (if using), crushed garlic, diced onion, chopped tomato and butter bean-avocado mixture in a bowl. Add salt to taste, Worcestershire sauce, lime/lemon juice and olive oil. Mix thoroughly, transfer to an airtight container and refrigerate for a couple of hours before serving. Chilli is optional but gives the spread a nice kick. If you prefer something milder, you can add a couple of drops of Tobasco. This is a really easy, quick and delicious recipe which can be used as a sandwich filler, in a wrap, on crackers or toast. Bread is an occasional indulgence for me. For last night’s dinner, I had spread this on some crusty roll which I also filled with shredded iceberg and sliced onion doused in Tabasco Chipotle. Heavenly! 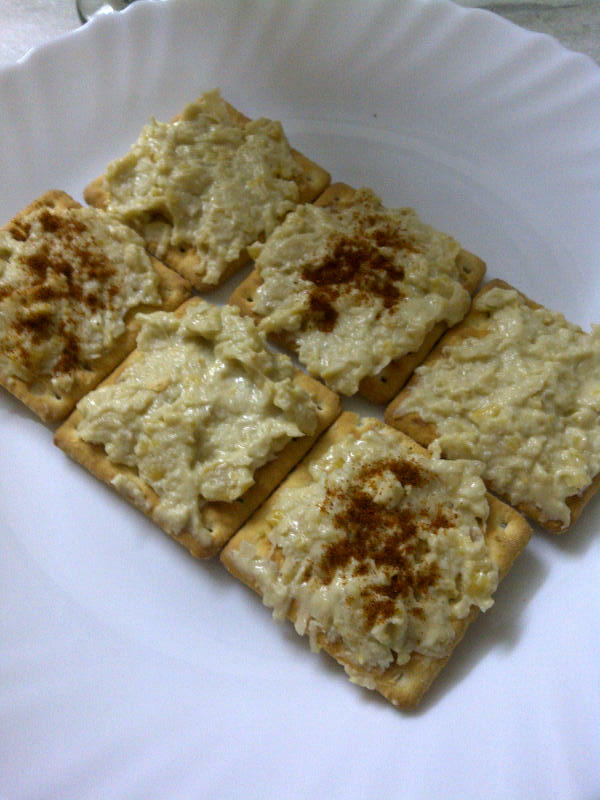 The chickpea were soaked and boiled but use canned if available for an instant, wholesome spread. Coarsely mash the chickpea with the back of a large spoon. Don’t worry if all of them don’t break down, you can leave a few whole for texture. In a bowl, add the mashed chickpea, grated garlic, juice of lime or lemon and tahini. Mix well. Now wash and peel the avocado. Finely cut the avocado and add it to the chickpea mixture. Break the chopped avocado with the back of the spoon while combining it with chickpea and other ingredients. Once again, if a few pieces remain whole, not a big deal. Have immediately or if you plan to eat it later, keep refrigerated. 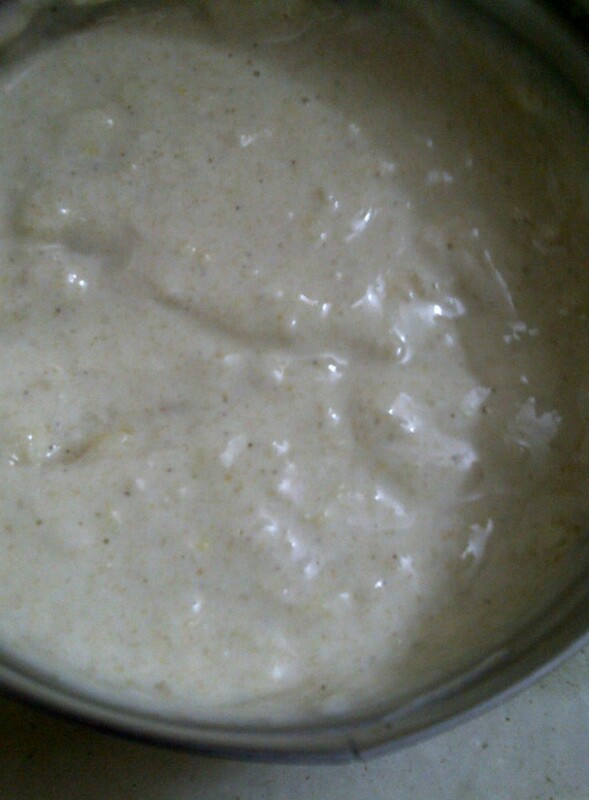 I have posted a recipe for homemade tahini here. As it is beginning to get a wee bit warmer, my mind is turning to different types of salads from raw to cooked to a mix of both. Today’s egg salad recipe falls in the latter category. Although I like to eat healthy, I avoid low calorie alternatives like artificial sweetener, margarine or diet cheese. The only exception is mayonnaise. I tend to keep a low fat jar of it in my kitchen. Not sure why I do so; it is not as if I eat loads of the stuff. But as Bernard DeVoto wrote, “The mind has its own logic but does not often let others in on it”! To go with today’s egg salad, I created a calorie conscious creamy dressing by combining low fat yoghurt with a dollop of “lite” mayonnaise. I like to think of it as a guilt free dressing since it offers a mayonnaise-y taste without the associated calories. The salad is quite substantial and can be had on its own for a meal full of goodness and comfort. First make the salad dressing. In a bowl, combine the yoghurt, mayonnaise, oil, cider vinegar, mustard and paprika. Mix well, check for salt and if you feel it needs a bit, add according to taste. Set aside or make ahead and refrigerate. Hard boil the eggs. Once cool, peel and quarter them. Wash and steam the beetroot till tender but firm. It should have a bite to it, not overcooked. Once the beetroot has cooled down, remove the skin, halve it and slice each half (you will end up with half moon shape). Set aside. Top and tail the french beans. Steam the french beans and sweetcorn for about 5 to 7 minutes. Don’t over-steam the beans, they should be slightly crunchy. Wash and dry the lettuce. Shred it. Wash the cucumber, halve it and slice along its width in half moon shape. Peel, wash and finely slice the onion separating the rings. In a big bowl, add the lettuce, cucumber, onion, french beans, sweetcorn kernels and eggs. Toss well and add the salad dressing. 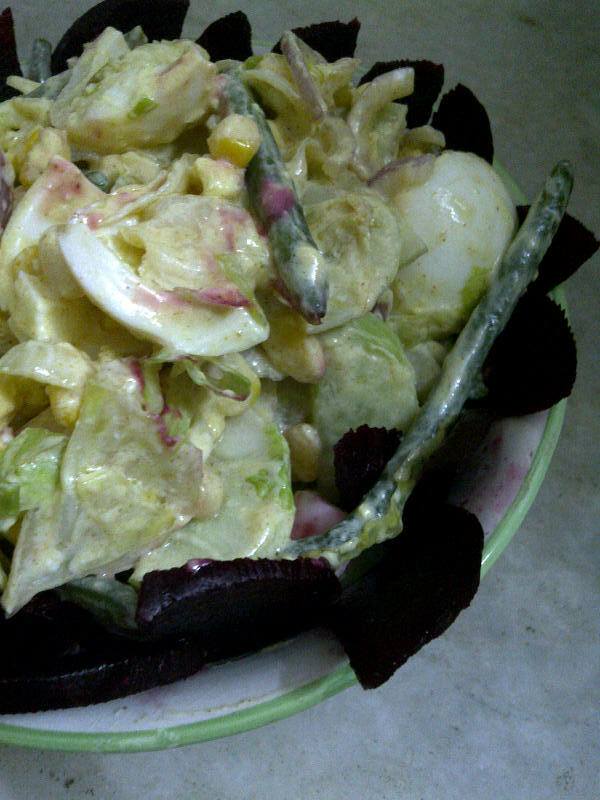 Mix thoroughly so that the salad is coated with the creamy dressing. Transfer to a plate or a bowl and place the sliced beetroot on the outskirts. Enjoy as is or chill and have. Barley, beans and vegetables enveloped in a garlicky tahini and yoghurt dressing provides a very comforting one pot meal. Flexibility is offered by way of additions, deductions and substitutions. 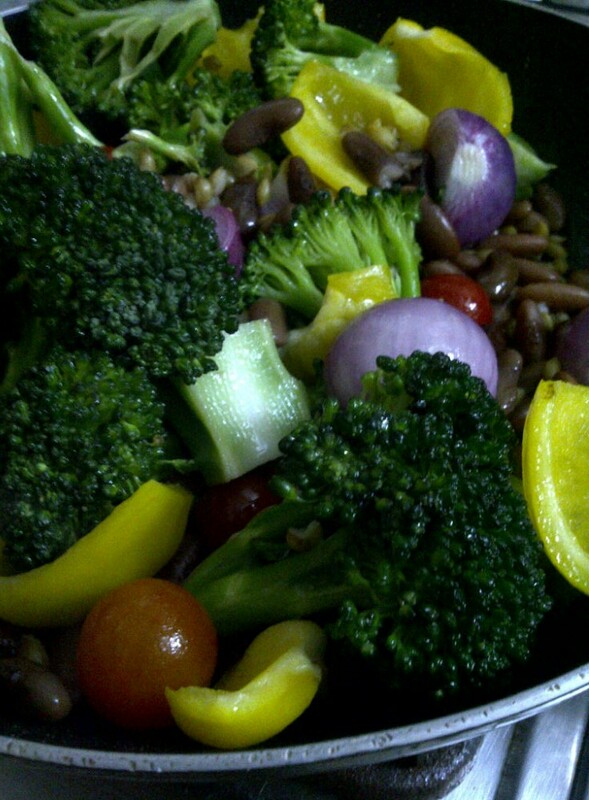 My recipe involves unhulled barley, kidney beans, broccoli, yellow pepper, cherry tomatoes and onions. You can use chickpea, broad bean, cannellini or any other variety of beans you have handy. I used raw kidney beans which were soaked and cooked before being added. You can use canned beans if it is easier. Similarly, you can use hulled, pot or pearl barley. Even quinoa or other grains would work well. As for vegetables, the possibilities are endless. Use whatever is seasonal, fresh and cheap. Most vegetables would make a suitable match for the dressing. Whisk the yoghurt and tahini till they are blended. Add the crushed garlic and salt to the yoghurt and tahini mixture. Wash and chop the broccoli into medium size pieces. Wash, de-seed, de-core and chop the pepper into medium size pieces. Peel, wash and halve the onions. 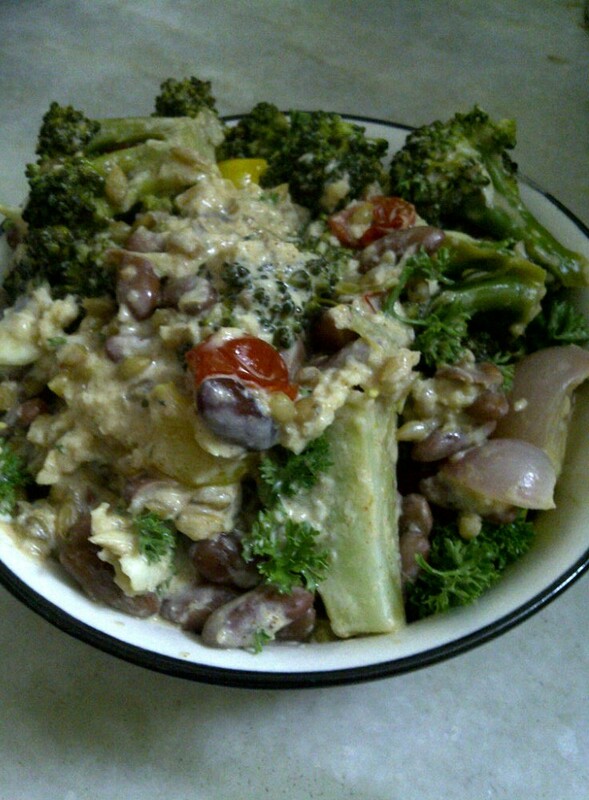 Put all the vegetables, beans and barley in a container which has tight fitting lid. Whisk the olive oil, lemon juice and salt and pour this marinade over the vegetable-bean mixture. Mix well, cover and let this sit for 4 to 5 hours. When you are ready to cook, heat a wide based non-stick frying pan. When it is hot, add the vegetable-bean mixture along with marinade juices. Cook on high heat for 7 to 10 minutes till the vegetables are cooked through. Take off the heat and after about 5 minutes, add the garlicky dressing. Mix well ensuring that the dressing coats all the vegetables, beans and barley. 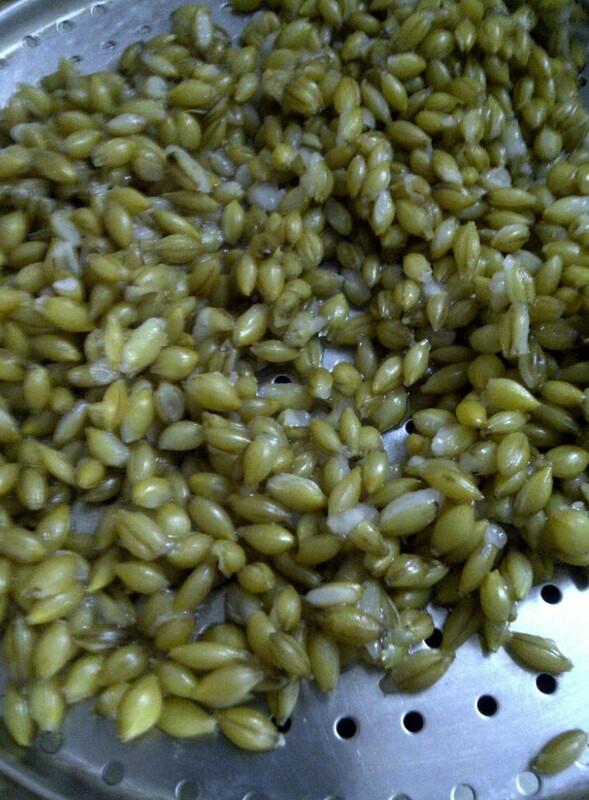 I had soaked and boiled the unhulled barley in a pressure cooker. 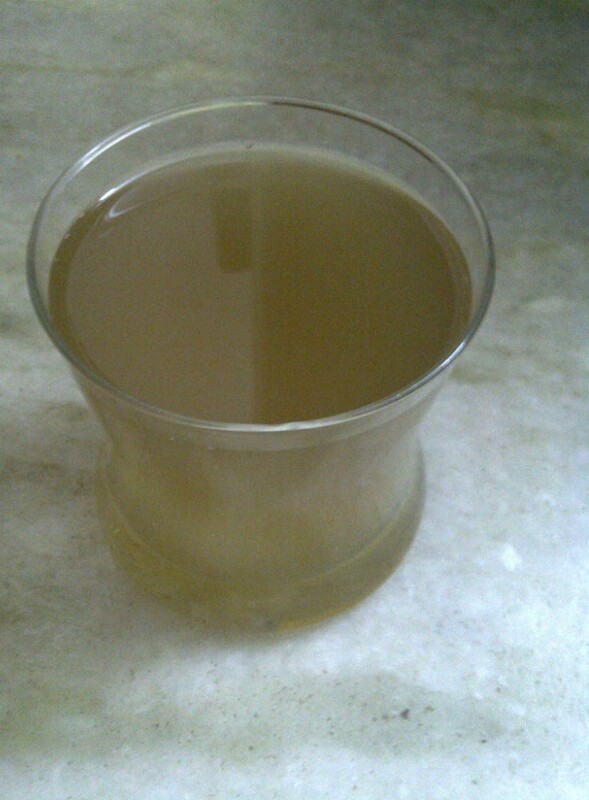 Drank the barley water! The garlicky dressing is very simple to make and would make a yummy dip. Wishing my kooky readers a very Healthy and Happy 2014. The theme of our New Year’s day menu was Persian. 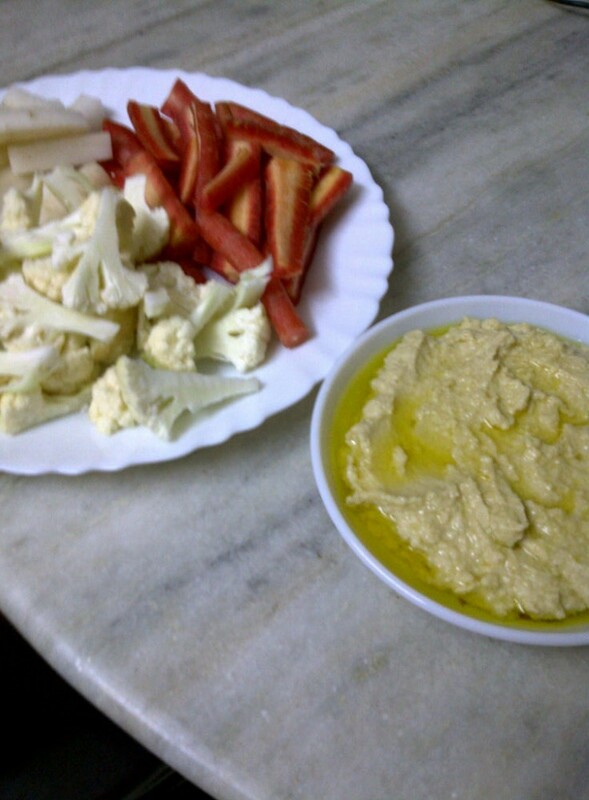 For starters, I served a healthy plate of crudités with hummus I made at home. Now I am not sure whether Iranians eat hummus but I thought it went with the given theme! Here’s my low-fat version of the popular chickpea dip made with homemade tahini (of course, you can substitute with shop bought one instead). Soak the chickpeas for 8 to 10 hours. If you are short of time, you can use this method to speed up the process. Boil the chickpeas in salted water till very soft. Drain them and retain about a cupful of the water. In a food processor or a blender, make a puree of the boiled chickpeas, tahini, garlic, lemon juice, olive oil and a pinch of salt. If you find the mixture too firm, add some of the reserved water till you get a smooth paste like consistency. Transfer to a plate and drizzle with olive oil before serving. I had served hummus with some raw cauliflower, carrots and mooli.